Stations of the Gospel. Good Friday reflections through Luke. Setup: This is the first station. It should be found just inside the door. The rest of the stations can lead through hallways toward the sanctuary of the church. Signs clearly marking the numbers of the stations, and arrows to assist people will be helpful. Find a copy of Bach’s Magnicat in D Major. It is readily available on youtube. Set it up to play loud enough to be able to hear for several stations. The piece is about 30 minutes, and will be playing on continual loop. You may sit and listen for as long as you would like. Look! From now on, everyone will consider me highly favored because the mighty one has done great things for me. Holy is his name. He shows mercy to everyone, from one generation to the next, who honors him as God. He has pulled the powerful down from their thrones and lifted up the lowly. He has filled the hungry with good things and sent the rich away empty-handed. Setup: Place a bowl of water on a small table. Consider saying a prayer over the water, perhaps from the baptism liturgy, or just a simple word of thanks for the water of life and blessing for all who pass through during this exercise. You are invited to dip your fingers in the water before you, and place a drop on your own forehead. Feel the water, and remember your baptism. John went throughout the region of the Jordan River, calling for people to be baptized to show that they were changing their hearts and lives and wanted God to forgive their sins. This journey begins where Jesus’ journey began—at the water. The water of baptism is a sign of rebirth. To be baptized is to die to your old self, and to rise out of the water as a new creation. In the United Methodist Church we baptize infants, not because they are sinful and need to be cleansed, but because they are members of the Body of Christ, and are worthy of being marked as such. At baptism, the Holy Spirit makes a special claim on a person. This is aclaim that cannot be revoked. There is never a need to be re-baptized. The first one counts. No matter what. From here we will proceed through Jesus’ life, ministry, teaching, betrayal, and death. We will reflect on these things, and may encounter trouble along the way. Know that through it all, your seal as a Child of God is complete. You are God’s beloved. Look on the back page of this booklet. This is a picture of one of the earliest forms of Christian art. The fish, not the cross, was the first symbol of Christianity. When the apostles returned, they described for Jesus what they had done. Taking them with him, Jesus withdrew privately to a city called Bethsaida. When the crowds figured it out, they followed him. He welcomed them, spoke to them about God’s kingdom, and healed those who were sick. Jesus said to his disciples, “Seat them in groups of about fifty.” They did so, and everyone was seated. He took the five loaves and the two fish, looked up to heaven, blessed them, and broke them and gave them to the disciples to set before the crowd. Everyone ate until they were full, and the disciples filled twelve baskets with the leftovers. You cannot separate the life of Jesus from the bread and the fish. One of the only stories that all four gospels tell, it is clear that feeding the hungry was a vital part of what Jesus did. The people came looking for life, and he gave it to them in the form of loaves and fish. Setup: A chalkboard or pad with newsprint and markers. This should be placed right outside the door of the sanctuary. This is the last rest station before entry into the sanctuary. Last year, we left the board up for Easter Sunday. Notice this story comes immediately after the feeding. People have noticed that there is something incredible about Jesus. He is clearly a man worth following, but he wanted to make sure they understood the cost. Following Jesus is not just about overflowing baskets and great wonders. Jesus understood that what he was teaching and doing would get him into trouble with the authorities. He understood that they could not let him live, and he understood that his mission could not be thwarted by their acts of violence. It was not an easy thing for the disciples to hear, and it is clear that while Jesus lived, they never fully understood. Jesus asked Peter, “Who do you say that I am?” On the chalkboard in front of you, answer this question. Who is Jesus? Setup: On a table near the back of the sanctuary, leave a couple of palm branches from Palm Sunday’s service and place a couple of rocks. They brought [the donkey] to Jesus, threw their clothes on the colt, and lifted Jesus onto it. As Jesus rode along, they spread their clothes on the road. This story is usually described as “Palm Sunday.” It is on this day that Jesus entered Jerusalem. Jesus taught the people what peace looks like. It looks like aligning your heart and your actions. It looks like letting go of materialism. It looks like letting go of bitterness. Peace is not an easy journey. The Pharisees wanted to keep quiet in the name of what they called peace, but “true peace is not the absence of tension. It is the presence of justice.” In one moment Jesus is a part of a wave of celebration. In the next, he weeps, for he knows the cost of true peace, and he knows the people will not tread that path. On the table is the palm branch and the stone. Even while we yearn for peace, are we willing to cry out? What story of justice, mercy, kindness, or sacrifice is within you? Can you hold it in? Will even this stone cry out if you don’t? Setup: On another table, place a bowl or offering plate with a few coins in it. This station asks people to leave some money behind. Someone should check it periodically so as to remove the temptation of someone taking money from the unattended dish. He said to them, “Give to Caesar what belongs to Caesar and to God what belongs to God.” They couldn’t trap him in his words in front of the people. Astonished by his answer, they were speechless. In the Gospel of Luke especially, Jesus is deeply concerned with our relationship with money. It was after Jesus disrupted the commerce of the Temple that the leaders decided that they had to kill Jesus. Here, he affirms all of their fears. In front of you are a handful of coins. Those who wanted to be rid of Jesus tried to use money to trap him. It didn’t work. How many of us who follow Jesus however, are trapped by our money? Some social critics have said, “We print ‘In God We Trust,’ upon the god in which we trust.” How much truth is in this statement? If you so desire, you may leave some money here (the plate will be checked periodically so as large amounts of cash will not be left unattended). Whatever is left here will be given to the church’s Samaritan Fund, which helps local people in emergency need. Setup: Place chairs around the Lord’s table, leave a broken loaf of bread and a cup (or several small cups) of grape juice. In our setting, the Table was stripped on Thursday night, so this quite easily accomplished. Take a piece of bread off of the loaf. Please, don’t be shy. Take a good piece. Take off a piece that you actually have to chew. Eat it slowly. Taste it. Drink the cup of grape juice. Allow the sweet tang to fill your mouth. Breathe deeply as you chew and as your drink. Read this story as you eat your piece of bread. Really—take a big piece, even a second piece if you want. It’s okay. Remember, it only took two loaves to feed 5000. Linger here with the bread. Linger here with the story. Hear Jesus’ words and know that YOU ARE THE BODY OF CHRIST. Read them again and know that YOU ARE FORGIVEN. When the time came, Jesus took his place at the table, and the apostles joined him. He said to them, “I have earnestly desired to eat this Passover with you before I suffer. I tell you, I won’t eat it until it is fulfilled in God’s kingdom.” After taking a cup and giving thanks, he said, “Take this and share it among yourselves. I tell you that from now on I won’t drink from the fruit of the vine until God’s kingdom has come.” After taking the bread and giving thanks, he broke it and gave it to them, saying, “This is my body, which is given for you. Do this in remembrance of me.”In the same way, he took the cup after the meal and said, “This cup is the new covenant by my blood, which is poured out for you. As you were eating, did you notice who else was invited? Jesus knew that he would be betrayed by Judas, and what did he do? He broke bread with him. Sometimes the hardest part of the Gospel is realizing who else is invited to this table. Simply read this story of Jesus’ trial. Do not read it all silently. Read Peter’s words, the ones in bold, out loud. After they arrested Jesus, they led him away and brought him to the high priest’s house. Peter followed from a distance. When they lit a fire in the middle of the courtyard and sat down together, Peter sat among them. Peter responded, “Man, I don’t know what you are talking about!” At that very moment, while he was still speaking, a rooster crowed. 61 The Lord turned and looked straight at Peter, and Peter remembered the Lord’s words: “Before a rooster crows today, you will deny me three times.” And Peter went out and cried uncontrollably. The men who were holding Jesus in custody taunted him while they beat him. They blindfolded him and asked him repeatedly, “Prophesy! Who hit you?” Insulting him, they said many other horrible things against him. As morning came, the elders of the people, both chief priests and legal experts, came together, and Jesus was brought before their council. Setup: Lay down a bowl full of nails. I bought the largest ones I could get from the hardware store. They are really better described as spikes. There was not just one cross on Calvary. There were three. Jesus was hung next to two nameless men. We only catch a glimpse of them at this, the worst possible moment. One joins the crowd and insults and mocks the man next to him. The other seeks peace, even in the midst of agony. One cross gave us a savior. Three crosses gave us a church. Following Jesus does not take away the pain of the world. Our life journey will always be a struggle. We can choose to respond with anger and bitterness, or we can seek grace and healing. Always, Jesus will meet us with forgiveness and love. If you’ve ever chosen bitterness and anger, pick up a nail. Say a prayer of confession. Lay your burdens down at the Cross. Hold the nail in your hand as you read. Press it into your hand or wrist. Not hard enough to hurt you, but hard enough to feel it as you read. Jesus came so that we may have life. He came to tear down walls and divisions which we are quick to build. He came to feed and heal. He came with forgiveness and grace. His power was not war or coercion. It was love. He died not because God needed him dead, but because we could not let him live. The World could not understand his power, so the Romans nailed him to a cross because they thought that would be his end. They believed that the humiliation, shame, and death that came with the cross would erase Jesus of Nazareth forever. When the centurion saw what happened, he praised God, saying, “It’s really true: this man was righteous.” All the crowds who had come together to see this event returned to their homes beating their chests after seeing what had happened. And everyone who knew him, including the women who had followed him from Galilee, stood at a distance observing these things. All parables have an element of strangeness. That is sort of the point of them. Jesus uses parables to teach about the Kingdom of God, which is a strange concept. Forgiveness, compassion, self-sacrifice, these are counter-cultural concepts that take strange stories to understand. Some parables are strange because we don’t understand the cultural weight of words like Levite or Samaritan. Some parables are strange because of the actions people take (who would plant a weed – one that gets really big – in a garden?) Yet despite the general strangeness of Jesus’ parables, the one found in Luke 16:1-13 seems to be the three-dollar bill. It is a story of an owner and a manager. The owner discovers that his manager has been dishonest, fearing that he is going to be fired, the manager decides to do some dealing. Facing impending unemployment, he decides to make some quick deals so that “people will welcome me in their houses.” He goes to a few of the owner’s clients and settles their debt at much lower rates. Collecting about half as much as they owe, the manager figures that the clients will be grateful to him, and treat him well in the future. The owner finds out about the tactics, and this is where it gets strange. The owner commends the man for acting “shrewdly” in the NIV and NRSV, “cleverly” in the CEB. What? The manager, who was already identified as dishonest, goes about being more dishonest, and the owner praises him? This one is a tough one to figure out. Why would the owner praise him? In most parables, the owner or master is supposed to be God. Here we seem to have God praising a man that screwed him. There is only small consolation in remembering that the disciples rarely understood Jesus’ strange stories either. So what are we left with? What is the good news? I think it comes down to the same place that most of Jesus’ strange stories come to: relationships. At the beginning of the story, we have many strained relationships. There is a strained employer-employee relationship. 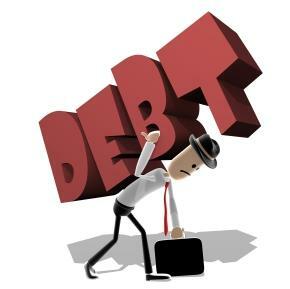 There are debts and debtors. What are we left with at the end of the story? Reconciled relationship and cancelled debt. It makes no sense for the owner to praise someone for cancelling the debts people owed him. He did not get what was coming to him, and yet he celebrated. Perhaps a quick scan around the rest of the Gospel of Luke will help lift the fog from this confusing story. Remember when Jesus taught the disciples to pray? Back in chapter 11, he tells them “Give us each day our daily bread. And forgive us our sins, for we ourselves forgive everyone indebted to us.” What if Jesus actually meant that? “But wait!” you might be saying, “He wasn’t talking about money. He was talking about sin, and you know, trespasses (whatever that is supposed to mean).” All I have to say is, really? You don’t think Jesus was talking about money? This is the Gospel of Luke we’re talking about, the one that says “Blessed you that are poor… Blessed are you who are hungry now…” not “Blessed are the poor in spirit… Blessed are those who hunger and thirst for righteousness” like the Gospel of Matthew. It is in the Gospel of Luke that Jesus says, “None of you can become my disciple if you do not give up all your possessions.” Later he tells a man to “Sell all that you own and distribute the money to the poor, and you will have treasure in heaven; then come, follow me;” (Luke 18:22). Then he says “it is easier for a camel to go through the eye of a needle than for someone who is rich to enter the kingdom of God'” (Luke 18:24). And don’t give me the line about the gate in Jerusalem that was called the “Needle’s Eye” or some such nonsense. There is no archaeological evidence of this mythical gate. There are, however, many non-canonical uses of a similar phrase to explain something that is really, really hard. All of this is to say, maybe Jesus is trying to teach us something about the nature of relationships and money, and our relationships with money. Perhaps the manager was praised because he put relationships ahead of money. You could argue that his motivation was less than pure, but in the end, he valued his ability to “be invited into people’s homes” over his ability to please his boss. And maybe the owner cared more about his manager’s heart than he did about his bottom line. The Pharisees didn’t get it. They valued money, and understood that having money was the same as having God’s favor. Jesus is reminding them that there are things in this world more important than wealth. Perhaps the level of confusion that this parable stirs is evidence of how remarkably important it really is. This one blows our mind, because it seems to go against all of our common understanding of fairness. And that’s just it. The Kingdom of God has little to do with fairness. It has little to do with keeping proper ledgers and making sure that everyone gets what is their due. The Kingdom of God is about relationships. It is about reconciliation. It is about forgiving our debts, as we forgive our debtors. It is not an easy story to hear. It is sometimes an even harder story to live. It doesn’t make good economic sense. Jesus had a funny way of not making sense. It doesn’t make sense to plant a weed in a garden. It doesn’t make sense to ruin a whole vat of flour with some leaven. It doesn’t make sense to turn your other cheek, throw a party for people that can’t invite you to theirs, leave behind a flock because one sheep strayed, or throw a party for your good-for-nothing son who finally came back home with his tail between his legs. It doesn’t make sense that God would come to earth and take on flesh. It doesn’t make sense that God would claim me as his own, or invite me to the Table of Grace. It doesn’t make sense that Jesus would do all he could for a people that responded by nailing him to a cross. It doesn’t make sense that tomb was empty, or that disciples have been able to experience Christ in the breaking of bread for centuries since he was said to be dead. This strange parable is a doozie. It is a challenge. It is a challenge to look at what cancelling debt really looks like. It is a challenge to take a close look at how I serve wealth over God. It is a challenge to look at how I spend money, how I save money, and how I treat others. It is a strange one, all right. Maybe that’s how God intended it. I love holding babies. I have held many babies. Countless times I have held a baby in my arms, and looked down and wondered, “What will this child be?” I can think of no act in life that is more full of hope then holding a baby. I held each of my daughters within minutes of their birth. Each time I was filled with awe and wonder. Each time was a holy moment beyond explanation. This year at Advent I have rediscovered Zachariah. I’ve been a Dad for a few years, but for some reason I’ve always been drawn to Mary’s song. I wrote last year at Advent about preparing for the coming of a child. This Advent though, I have been drawn to Zechariah’s prophecy when his son was born. Zechariah praised God when his son was born. He praised God for the promises that God made. He praised God for the promises that God kept. He praised God for the promise that was in his son. For he knew that his son was created for a purpose. He knew that his son would be called a prophet. He knew that his son would “go before the Lord to prepare a way.” He knew that is son would “tell the people how to be saved through the forgiveness of their sins.” Zechariah was filled with joy at the birth of his son, so he praised God. God has called you to your life. Let it speak. Let nothing get in the way of being the person that you are. Zachariah claimed in his prophecy that through the birth of Jesus, “we have been rescued from the power of our enemies so that we could serve him without fear.” We need no longer fear. We need no longer hide from God or from each other. We are free to use the gifts that God has granted us for God’s purposes. We can serve God in our homes, in our churches, and in our workplace. We can serve God with our hearts, hands, feet, and minds. We are free to love God, because it is only in freedom that love is possible. We are free to love ourselves because we know that we were created in the image of the God that is love. We are free to love one another because God has called us to do no less. Fear is powerful. Fear can be overwhelming. When we sit in the shadow of death, fear can be crippling. Many of us have experienced that kind of fear. We have experienced that kind of sorrow or loss. When the chaos of the world is too much to bear, we sit in the shadow. When the diagnosis is positive, and the prognosis is not optimistic, we sit in the shadow. When the job is lost and the source of the next check is a mystery, we sit in the shadow. When we fail to love as we were called to love, we sit in the shadow. When thousands of children die from undernourishment or preventable disease, we sit in the shadow. When a man breaks through the sanctuary of a school and shatters the lives of innocents, we sit in the shadow. Though some would claim that God does not go where God is not wanted, such a claim stands in direct opposition to the claim of Christmas. The claim of Christmas is that God goes where God is not expected and is not wanted. God goes where it one time seemed impossible. God breaks through the cosmos, tears through the curtain, crumbles our dividing walls, and makes the audacious and spectacular claim that God was made flesh. God was a baby. Through our freedom, humanity has created many dark and terrible places. The shadow of death at times looms large over our world, but in the midst of darkness a baby is born. What then will you be? For what purpose have you been created? Use what you have been given to do as John did. Prepare the way of the Lord. Show people the way of salvation. Find those that sit in the shadow of death, and sit next to them. Hold their hand. Weep with them. Give them love. Show them the light, and declare that the dawn is coming. Declare that the dawn is coming, and let the Holy Spirit guide us on the path of peace. Listen to a podcast of this sermon. Let Your Life Speak is one of my favorite books. It was written by Parker Palmer. Sermon: Whose job is it, anyway? Click here to listen to Sermon: Whose job is it, anyway? A related blog post: Feel angry, then do something. Jesus said to his disciples, “ Seat them in groups of about fifty. ” They did so, and everyone was seated. He took the five loaves and the two fish, looked up to heaven, blessed them, and broke them and gave them to the disciples to set before the crowd. Everyone ate until they were full, and the disciples filled twelve baskets with the leftovers.